In celebration of Kurlikins being 1 year old, here is a tutorial on how to make your very own cute little fairy girl. Join in on the Facebook page to ask any questions, leave comments... better yet: leave a picture of YOUR finished product! Quilling Tool- up to you if you want to use a slotted, pointed or no tool at all. 4. Push out to form a cone. 7. Connect the 3mm coil to the 6mm coil. Make tight coils and push out slightly. 24. Glue the face to the back of the head. Glue head onto neck- Balance! 26. Remember the decorations from step 9?? 27. 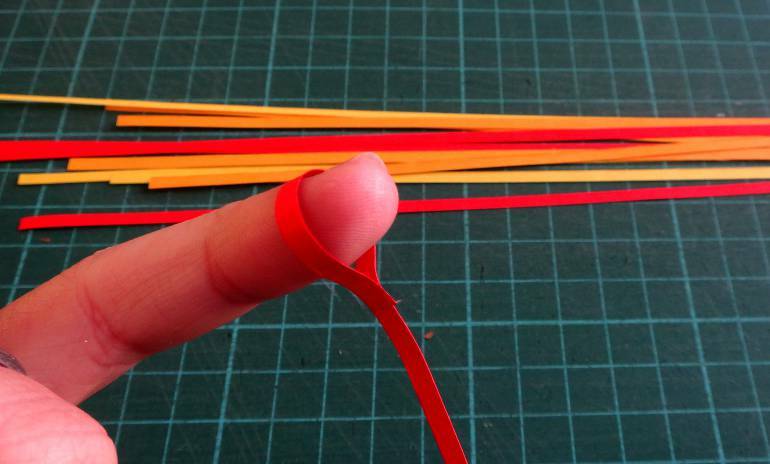 Wrap first strip around finger and glue. 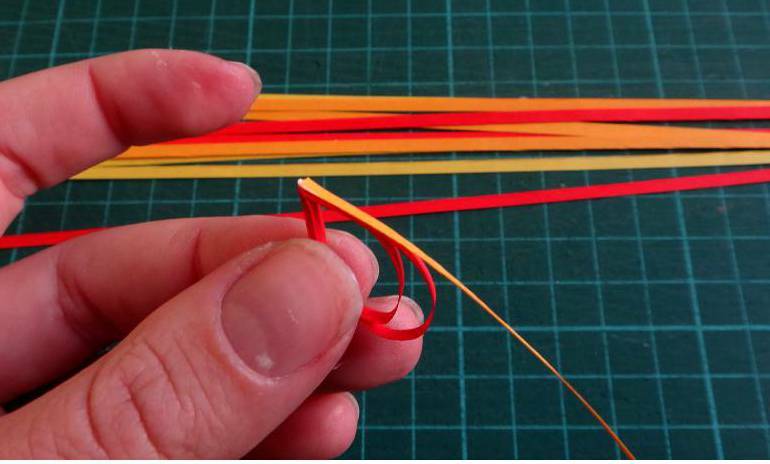 Wrap to create the second loop and glue. Attach to the back of your fairy. Note: attaching the wings may throw your overall balance out of the fairy, making her fall over. Play around with the wing positioning ect. to get this perfect. Ta Da! Your super gorgeous 3D quilled Fairy Girl! very cute Fairy, all your characters are awesome, have you ever published your own book on these charactewrs?, that wuld be awesome !!! Thanks heaps Paula! A book? No, I'm just making things for the blog at the moment. I wouldn't know where to start with a book! Amazingly detailed instructions, thanks so much. Will definitely try this out. Please, please post a tutorial of the graduation girl as well. Would love to see how your fairy turns out! Sooooo cute! And thank you for a generous tutorial. Thankyou! I'm glad you appreciate it! Have fun making her! 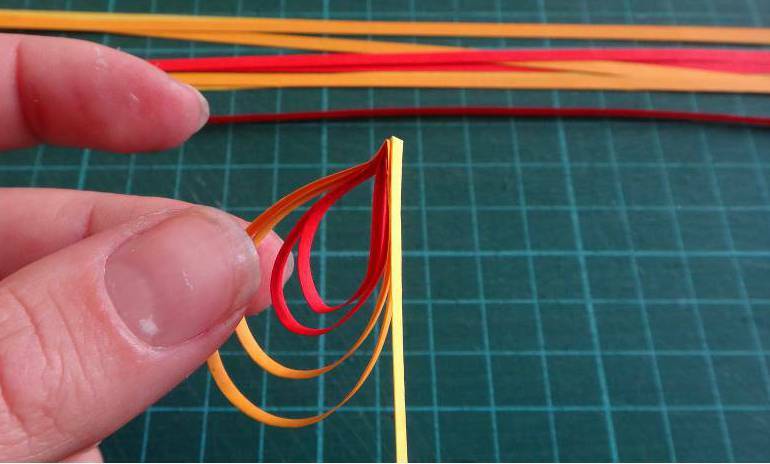 Ooh your 3D quilling is amazing! And thanks for the step by step tutorial! Wow ! The fairy is cute and thanks a lot for sharing the tut ! Would it be possible for you to do the family from the iPod to iPad mini to iPad? All of your work is just amazing . Too cute! do visit my blog n have a look at my quilled creations. This is really cute and pretty fairy. Thank you so much for sharing the tutorial.I would love to make a fairy too. No worries on the tutorial! I'd love to see your finished product! Thank you for sharing. Your projects are awesome. You are very creative.